HOMENews【Tropical Storm Usman in the Philippines】Regional Platform A-PAD Bicol Started Helping the Affected People. 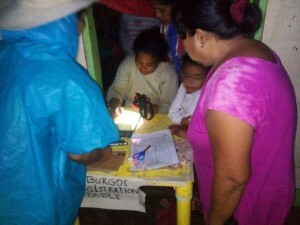 【Tropical Storm Usman in the Philippines】Regional Platform A-PAD Bicol Started Helping the Affected People. Tropical Storm Usman, which landed in the Philippines on Christmas Day, caused landslides and floods in the Bicol region in the southern part of the Philippines’ main Luzon island. Fifty-seven people died in the mountainous Bicol region, southeast of Manila, while 11 were killed in the central island of Samar, mostly due to landslides and drownings. At least 19 are still missing and more than 40,000 residents are displaced, according to reports quoting the National Disaster Risk Reduction and Management Council sources (as of December 31). A-PAD Philippines started distributing emergency relief goods to the evacuees and people who were affected by the floods through the newly launched regional disaster management platform A-PAD Bicol. The storm also caused power outage leaving 130,000 people without electricity and destroyed infrastructure. Many people failed to take necessary precautions because Usman was not strong enough to be rated as a typhoon under the government’s storm alert system and it landed during the Christmas and year-end holiday season. A-PAD will support the flood affected people through the Bicol regional disaster management platform that was launched by A-PAD Philippines.